Bill Welch came right on over to pick up his big buck mount! Harley Burbage got this big buck with just a touch of velvet still attached. Sam and Colton Knight making memories! 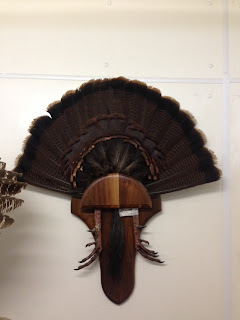 Richard Cutler picked up this palmated beauty! I've included a few photos from the night he brought it in. Allie Hart's buck was in full velvet! Ally Gerthoffer picked up her mount! Craig Mack and his daughter made the trip out to pick up Craig's completed mount. David Redd picked up this full sneak mount from Kenneth at Cordray's Taxidermy. Ryan is sporting the Cordray's shirt all the way from Tanzania! I had the pleasure of 'meating' you folks last year in early December when we brought my first deer to your establishment for processing. I never got the chance to enjoy any of it unfortunately. Anyway, I was presented with a Cordray's t-shirt and asked to send in a photo from Africa where I work. So you are in need of an apology from me because it has taken so long for me to send one. Better late than never they say. 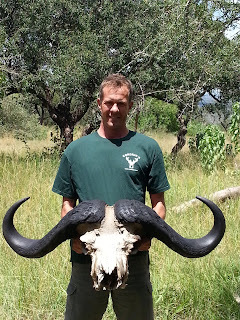 The photo attached is of me (in my t-shirt) holding a 53inch Cape Buffalo trophy. Send us your photos of you enjoying Cordray's products, wearing our shirts, or how you hung that gorgeous mount in its special place and we'll post them here!